We have uniquely positioned ourselves as a demanded firm and offering Wall Clock. These clocks are manufactured using a high-quality raw material and the latest technology by our skilled experts. In order to ensure the quality, this clock is well quantified against various parameters by our experts. Backed by our sincere efforts, we are able to manufacture and supply a best range of Traditional Wall Clock. - Use: It is used for alarm in timing. - Houses, offices, shops, etc. This wall clock can be a good gift for friends at housewarming parties. It's bound to attract the attention of guests in any home. -This peacock-shaped wall clock has been crafted out of wood, roman numerals have been etched on its clock surface which give it a traditional look. MDF wooden base clock work with clay, cone work and kundan...handwork clay...decore home in traditional style only in 1500/-..bulk order will have considered amount. Wall clock with brass outer ring and white give a attractive look. Gained prominence in the industry as a reputed organization, we are offering a wide range of Wall Clock. With a firm commitment to quality, our organization is involved in offering a wide ambit of Antique Clock. 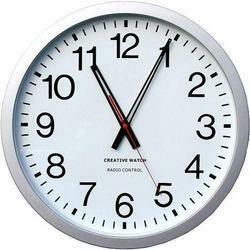 Owing to the increasing demand of our customers we are engaged in offering a wide range of Clock. 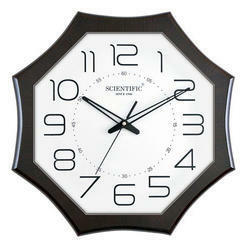 The Clock we offer has been designed in a manner to provide a mind soothing appearance. The designs of Clock are endeavouring and have been designed to perfection. These are certified and are bought at reasonable rates.